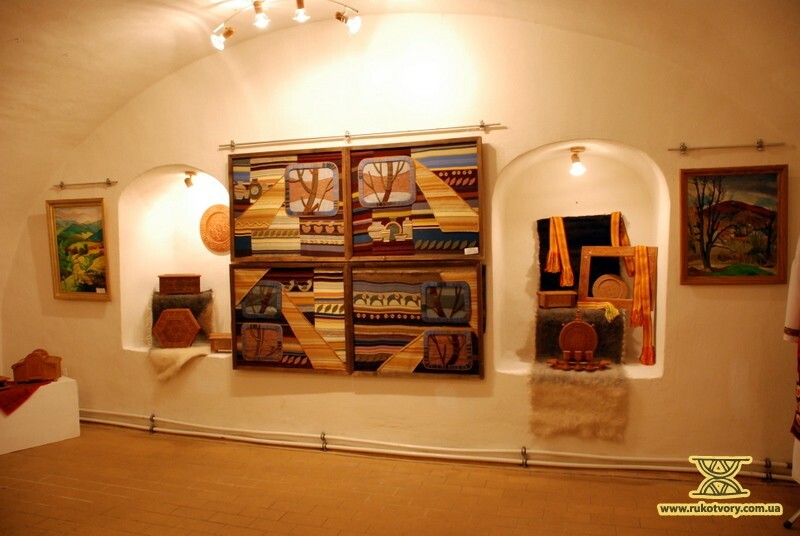 This is a very rare ocassion that students’ term and diploma assignments become items of exhibitions. 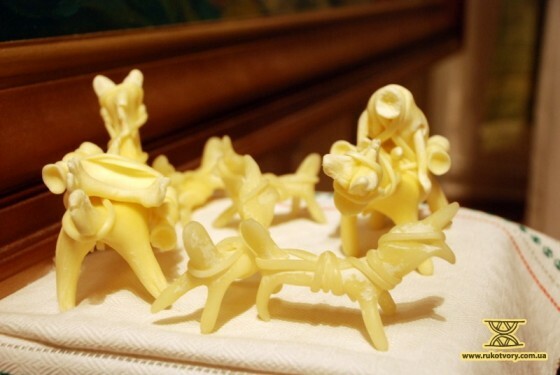 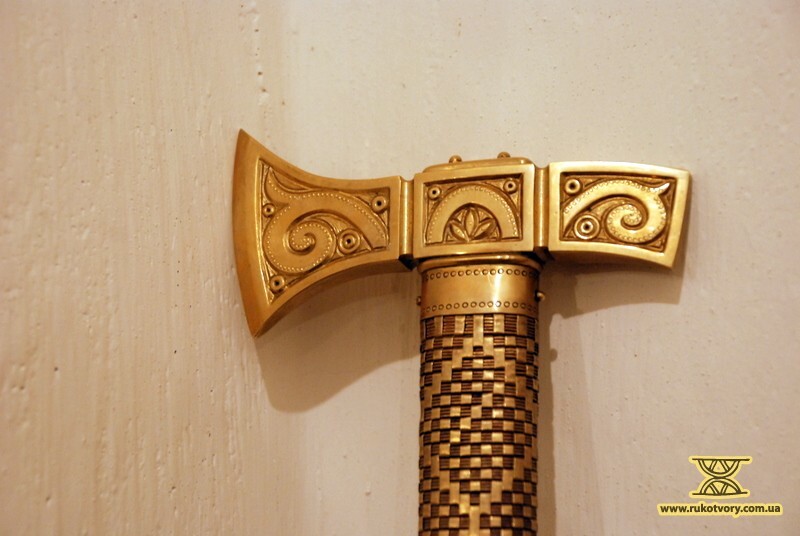 But Kosiv Institute of Applied and Decorative Art has something to be proud of. 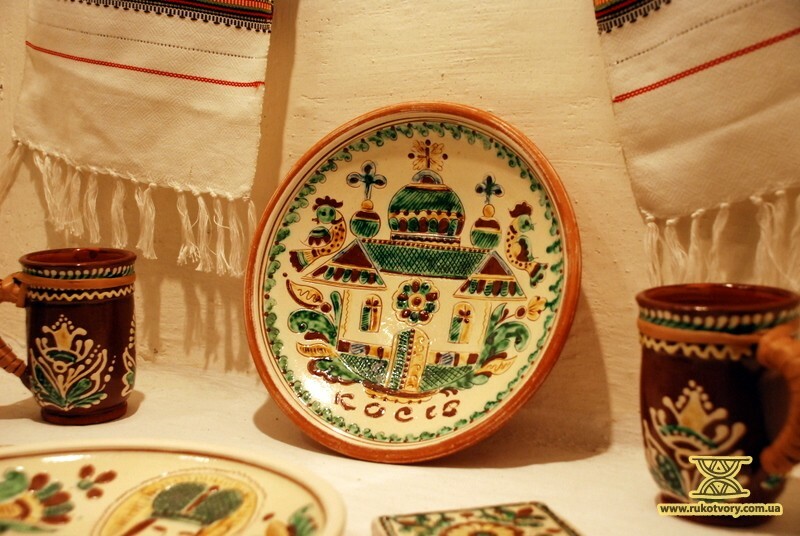 On February 8 an exhibition of such items — the final students’ and the teachers’ works of this Institute — was opened in the capital Hetman Museum. 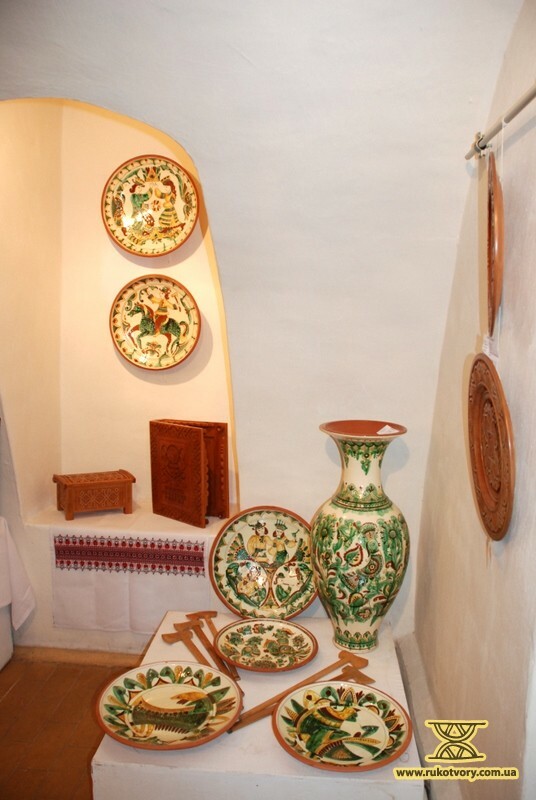 The exhibition includes wooden goods, metalware, weaving, ceramics, and leather items, canvas and glass paintings. 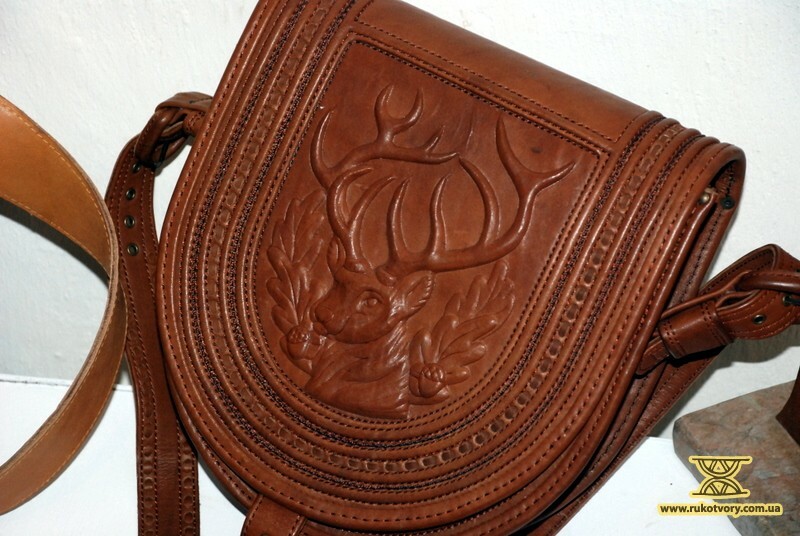 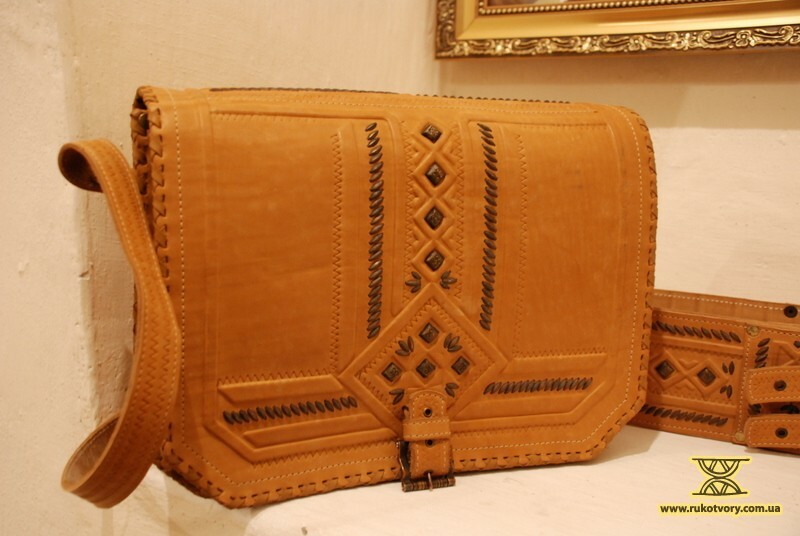 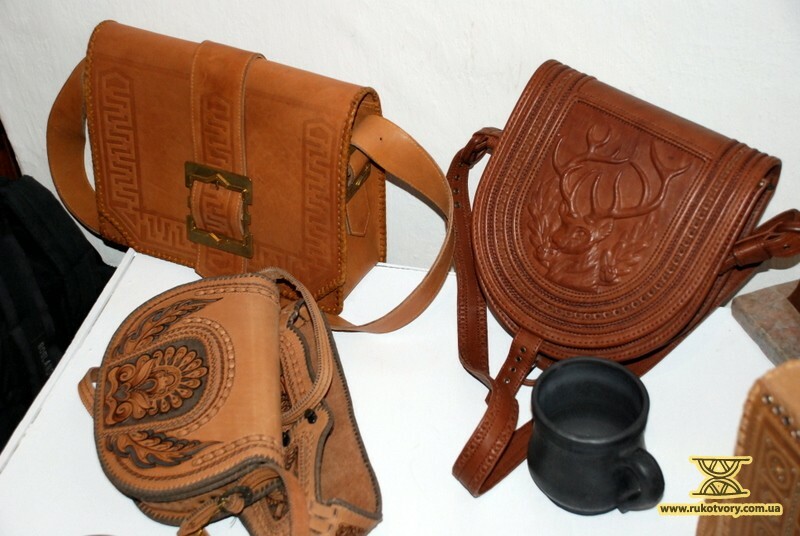 Among the wide range of multidirectional works — a series of thematic tapestry, woven garments and clothing accessories of leather: bags, tobivkys, purses, belts. 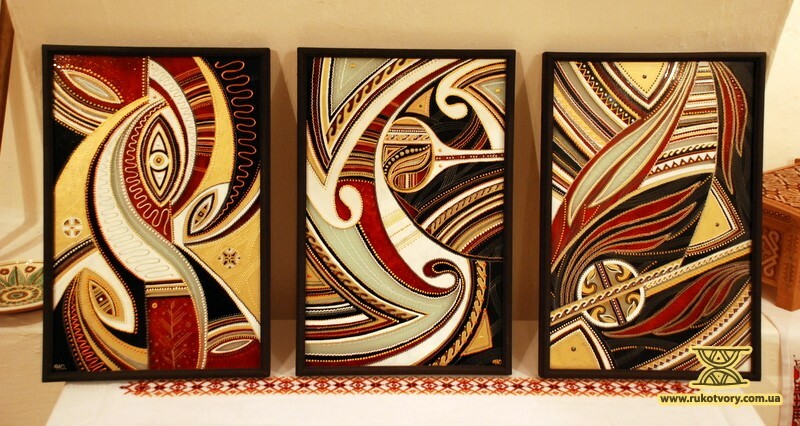 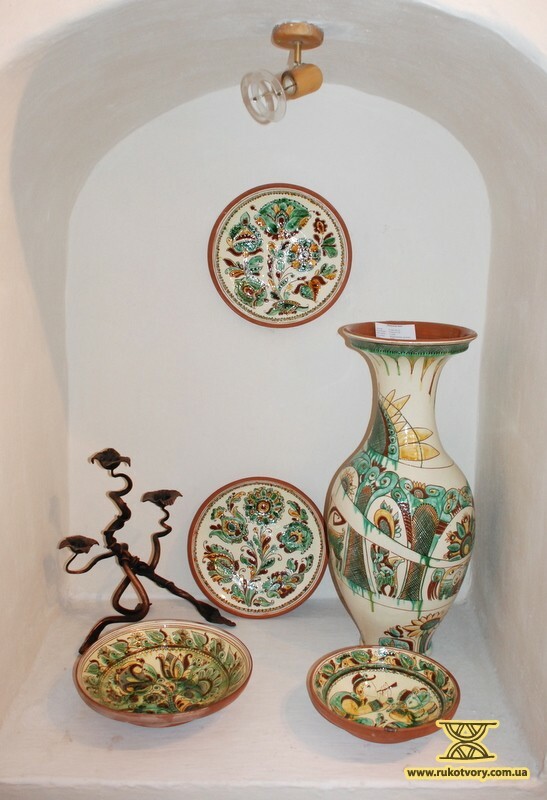 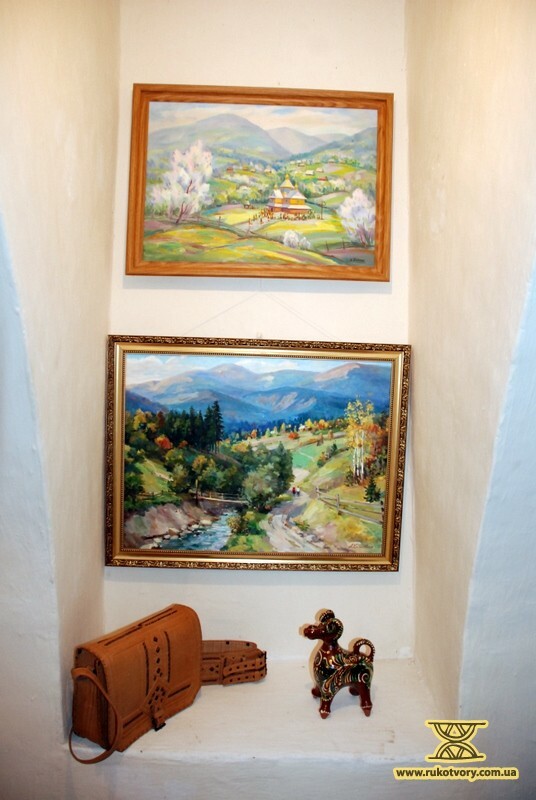 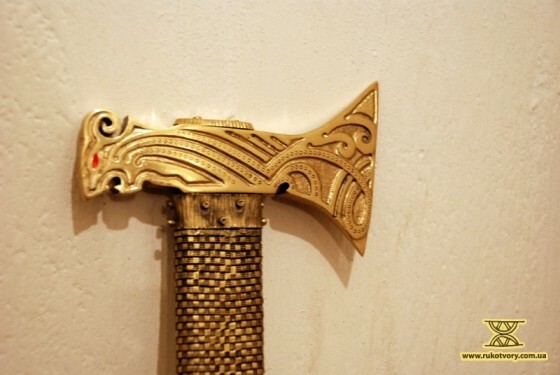 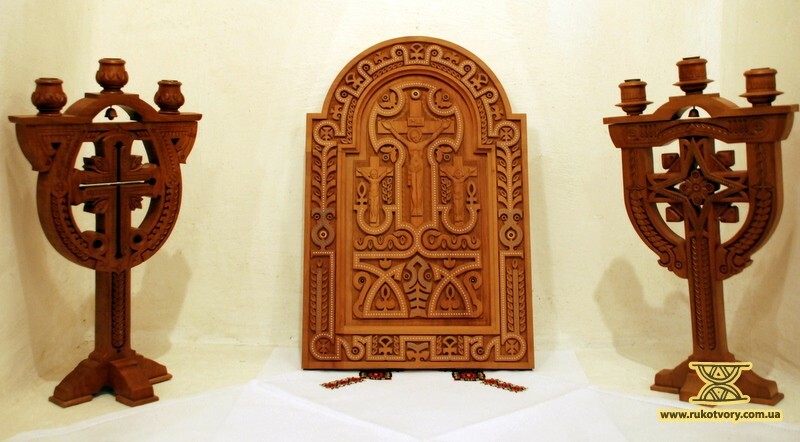 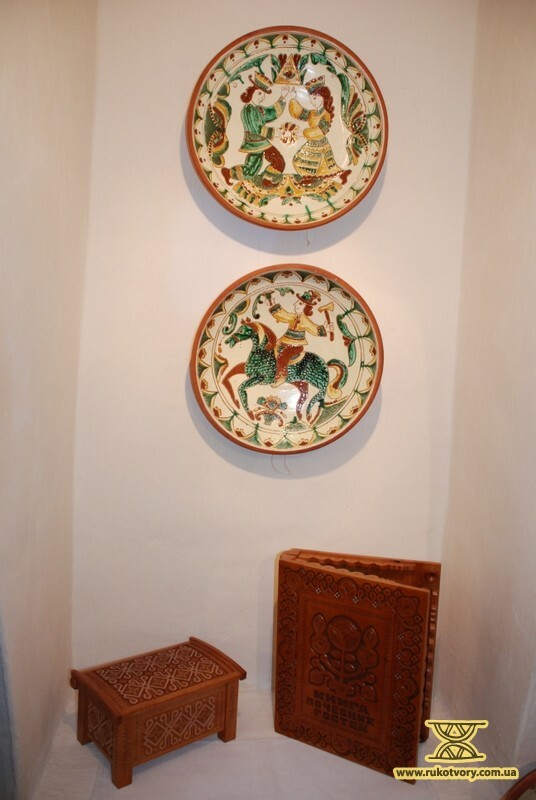 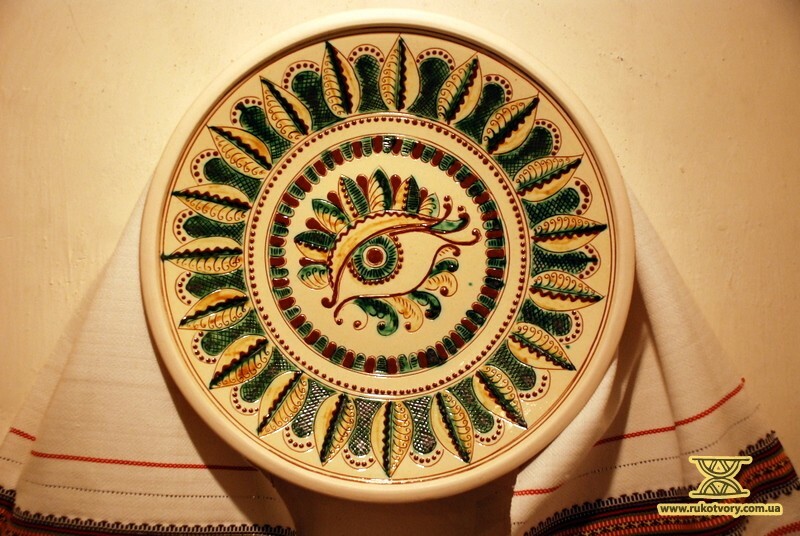 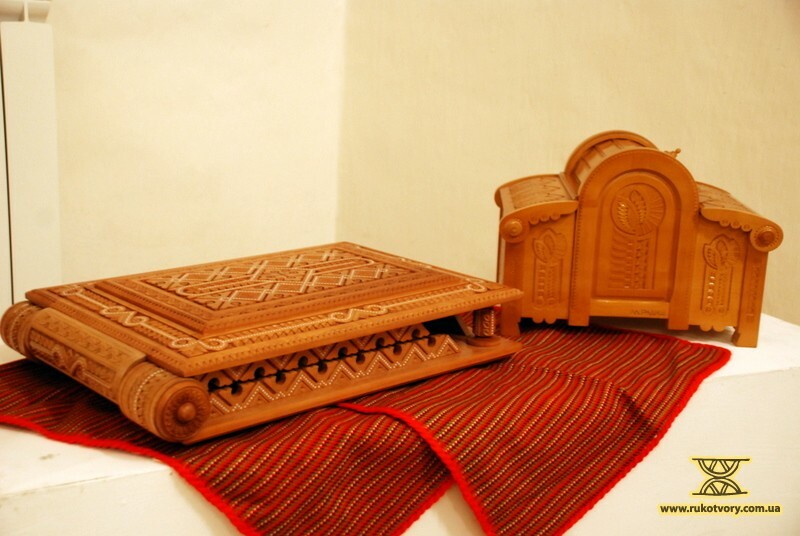 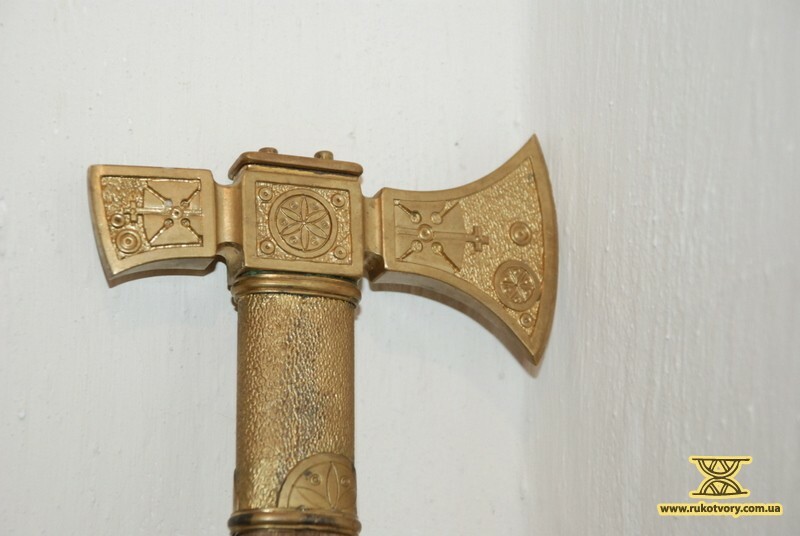 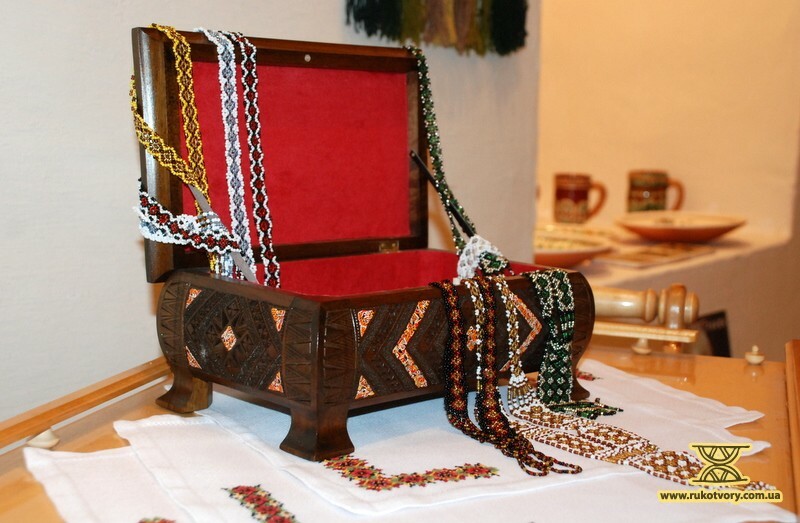 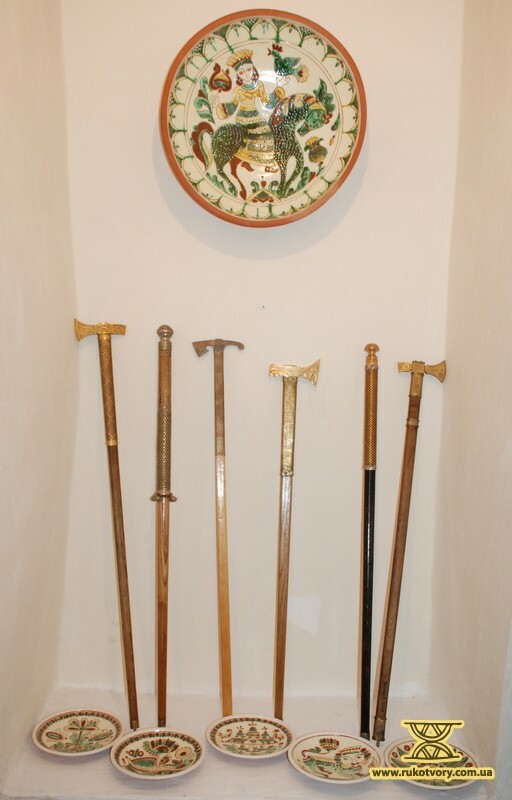 All these works display hutsul origin; the decorations are filled with the traditions of the past which the young artists presented in a new way. 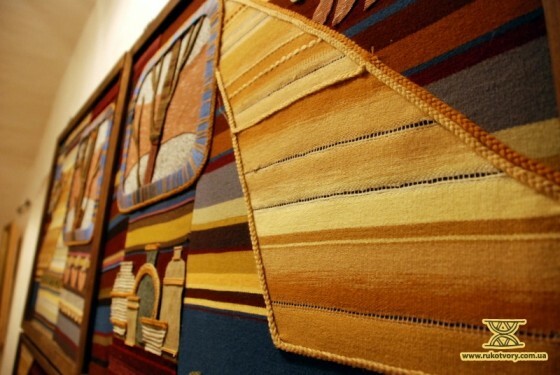 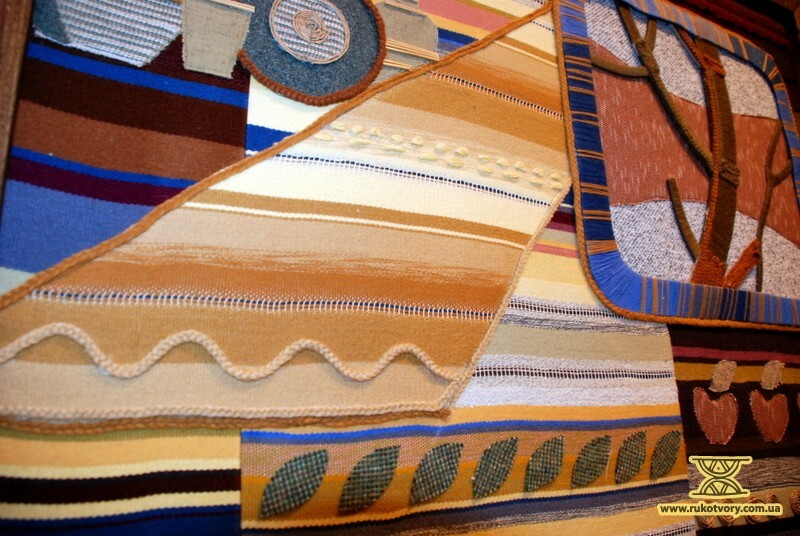 To create a truly artistic product the students have to take more than one year of a laborious study. 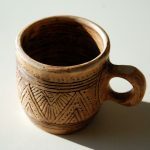 They learn the symbolism, composition, absorb the forms of items from the old masters, and then start creating themselves. 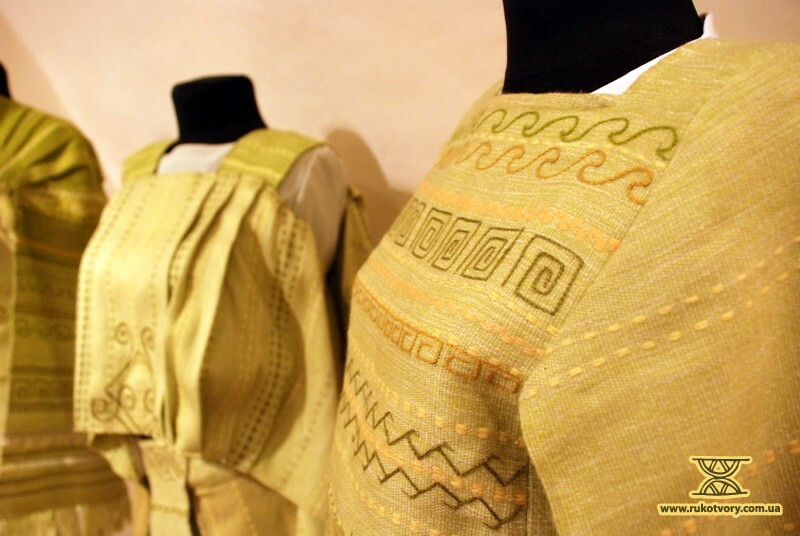 “The students go through the technological process completely — from the beginning to the end. If we study wood we give them a plane and a small plank, which the students then shape in a definite form, — says a senior lecturer of Kosiv Institute, the glass artist Roman Yusypchuk. 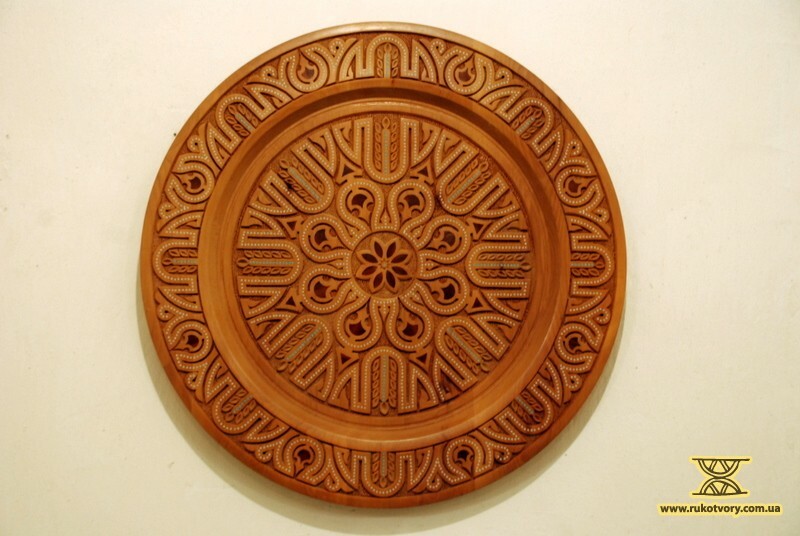 — Then each student applies an ornament that he is to carve on it. 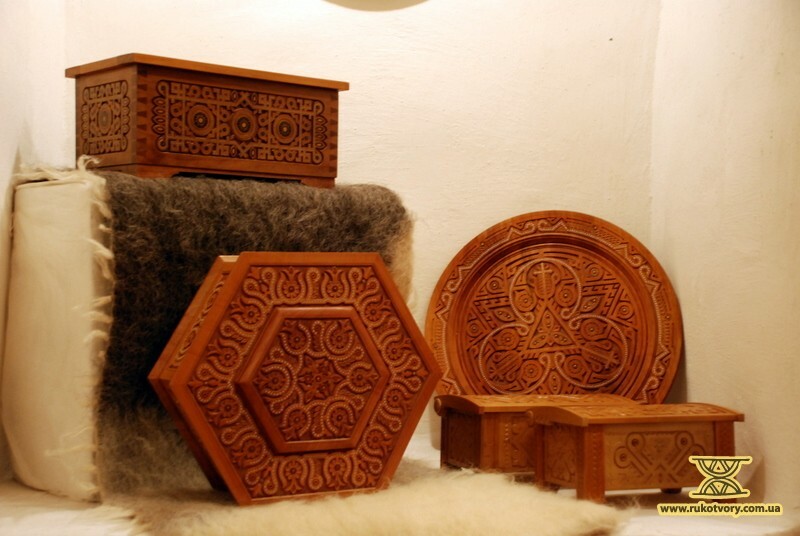 He learns while practicing the first, the second, the third, the fourth ornament, and then on the basis of the learned ornaments he is making, let’s say, boxes” from the scratch. And that’s the way of becoming the ones who are called the best craftsmen. 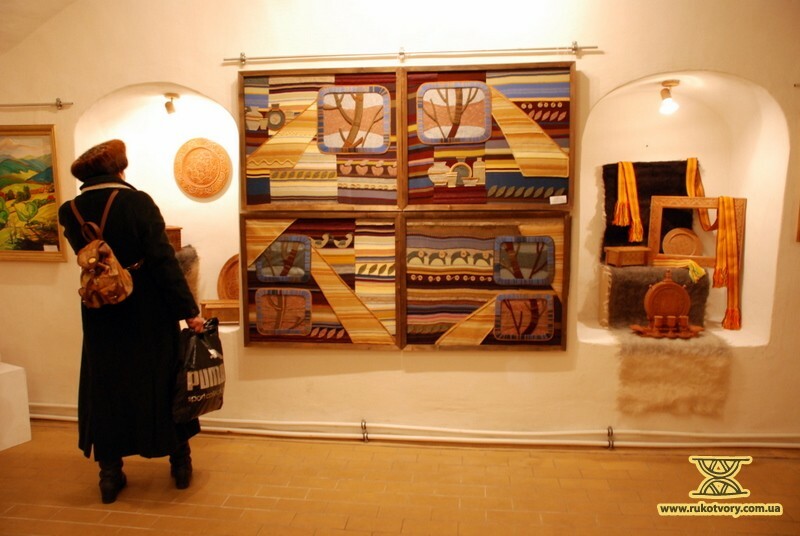 In addition, the graduates of the Kosiv Institute of Applied and Decorative Art feel much more comfortable in finding jobs than their colleagues from other schools. Svyatoslav Martyniuk, the Director of Kosiv Institute is convinced that the artist needs no employment, the only necessity is to have a small amount of materials and tools, some premises and he can commence creating". 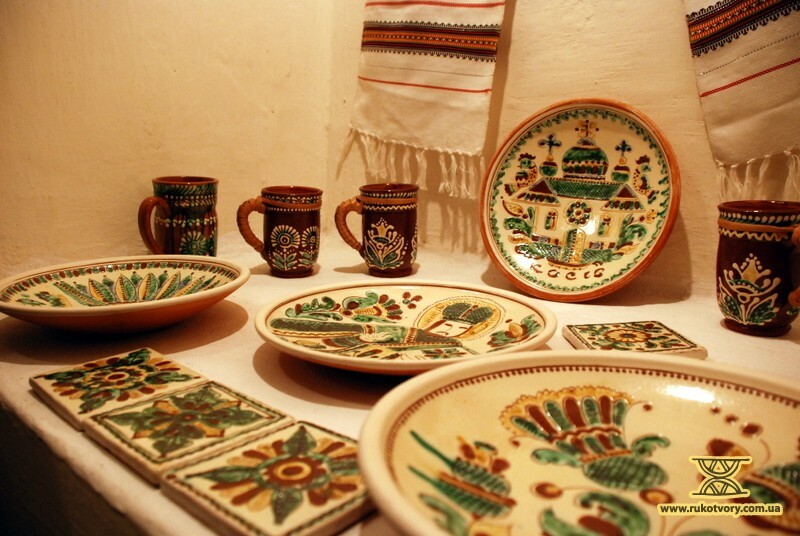 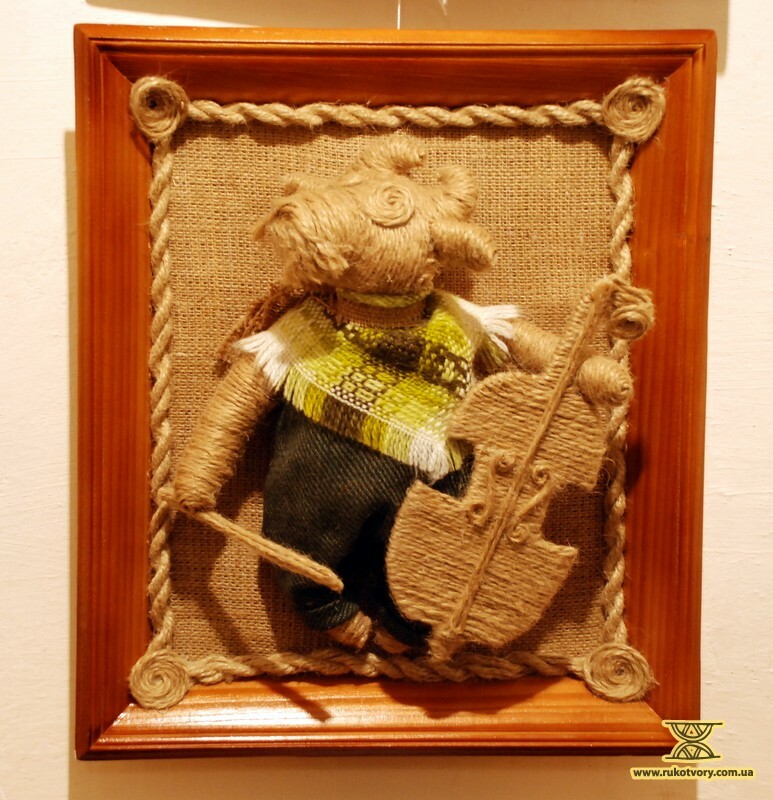 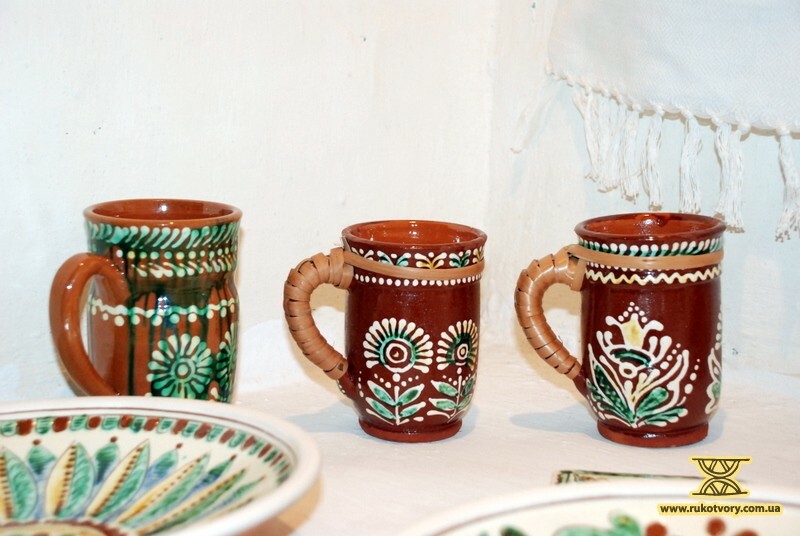 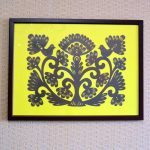 Kosiv has long been known as the capital of folk art of Hutsulschina. 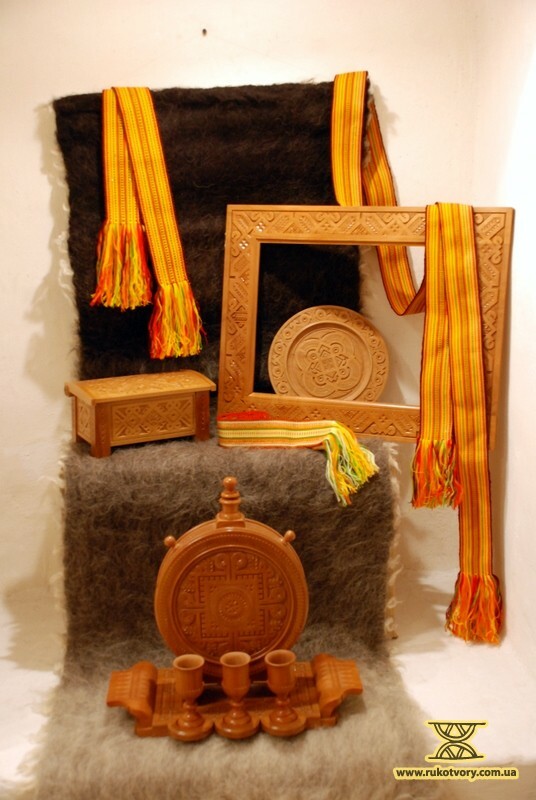 This is the center where the major branches of folk crafts were focused and evolved: woodcarving, pottery, artistic weaving, and embroidery. 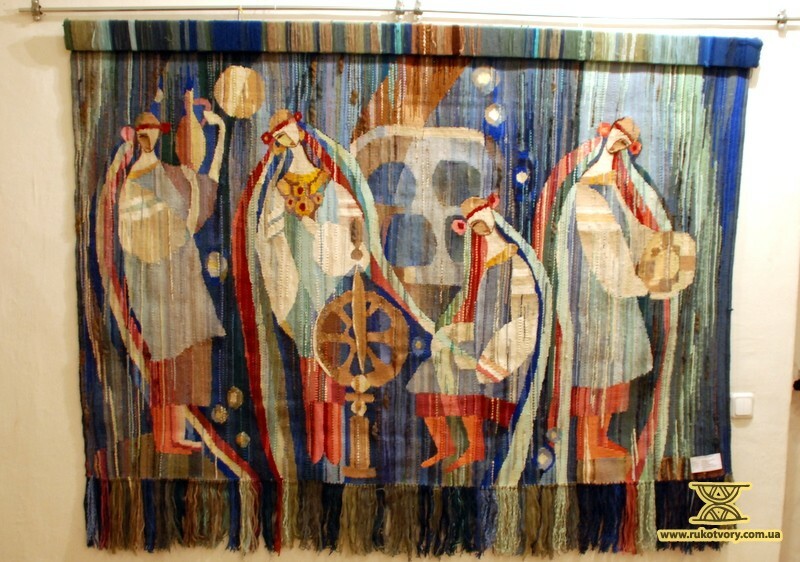 Kosiv Institute of Applied and Decorative Art itself began its history in 1882 as a weaving industry professional school. 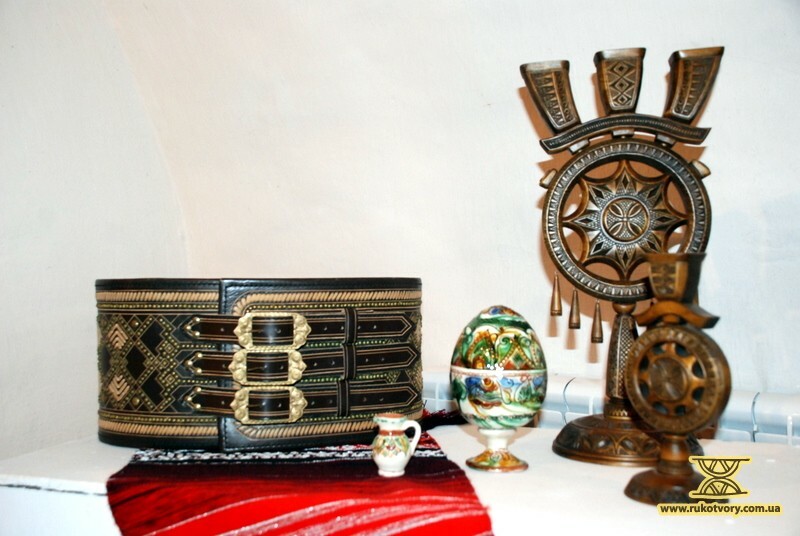 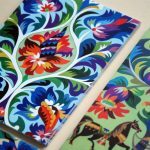 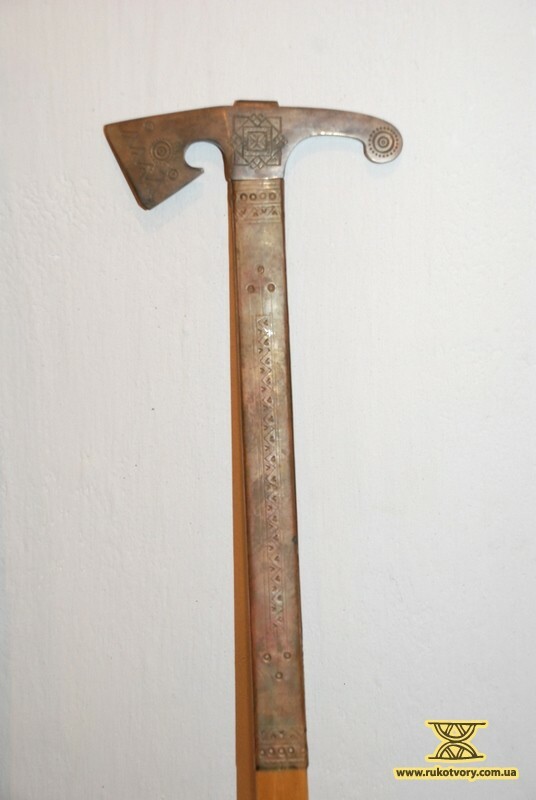 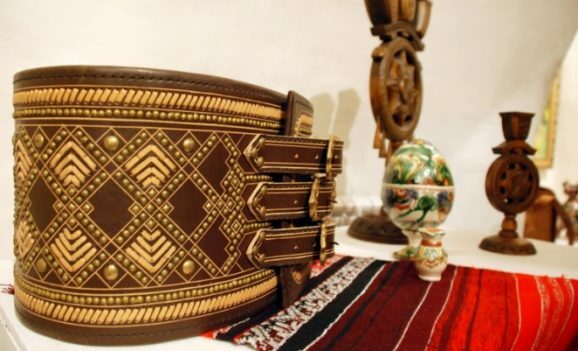 In 1939 on the basis of the Industrial School a specialized school of Hutsul folk art was created; then — a College of folk art crafts; from 1995 –Kosiv College of Applied and Decorative Arts after V.I. 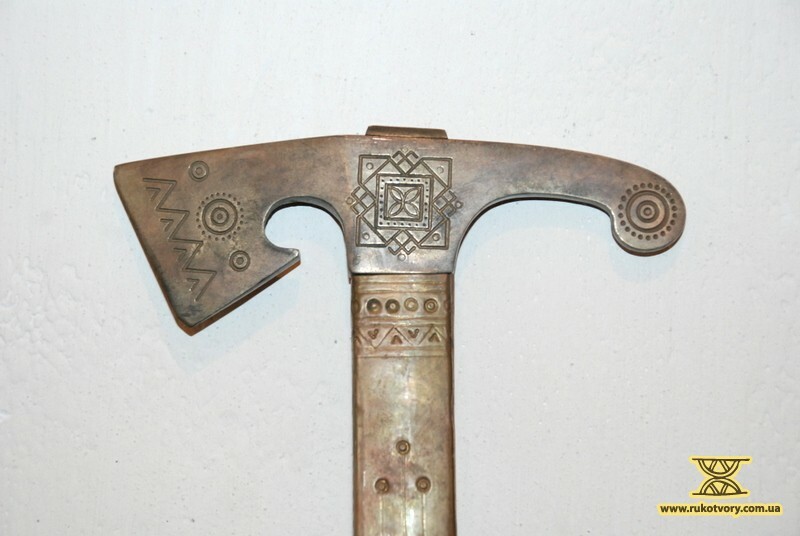 Kasiyana. 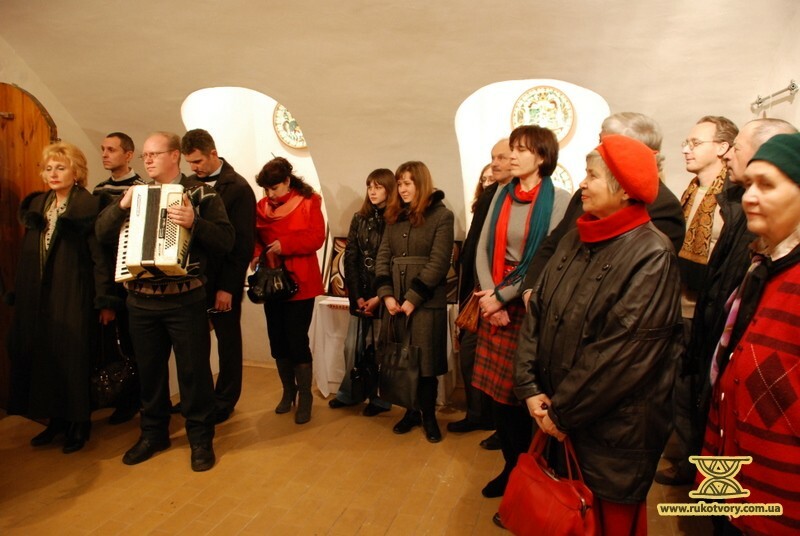 From 50's to 80's the institution provided education to the students from all former Soviet republics, which serves as evidence of its wide acceptance as an art school. 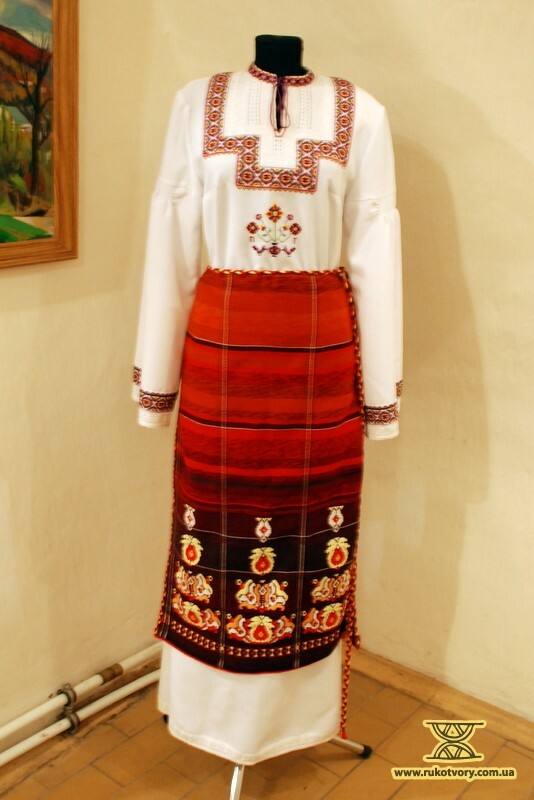 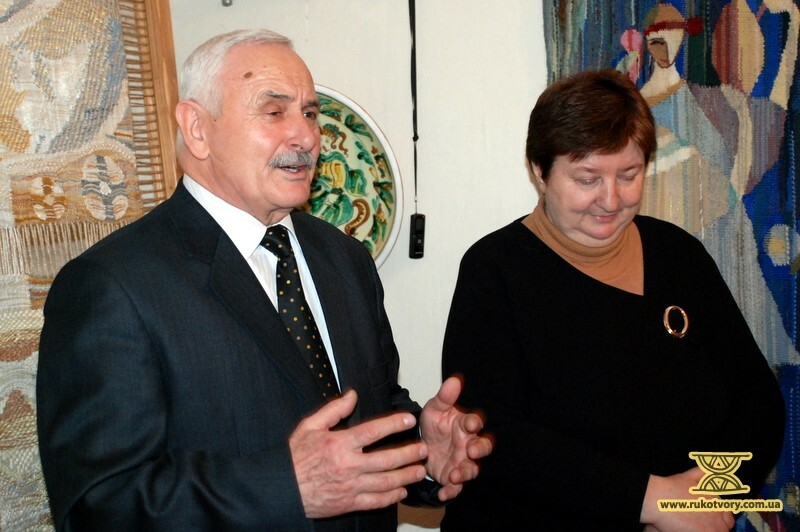 “Kosiv Institute is a tremendous tradition in our culture. 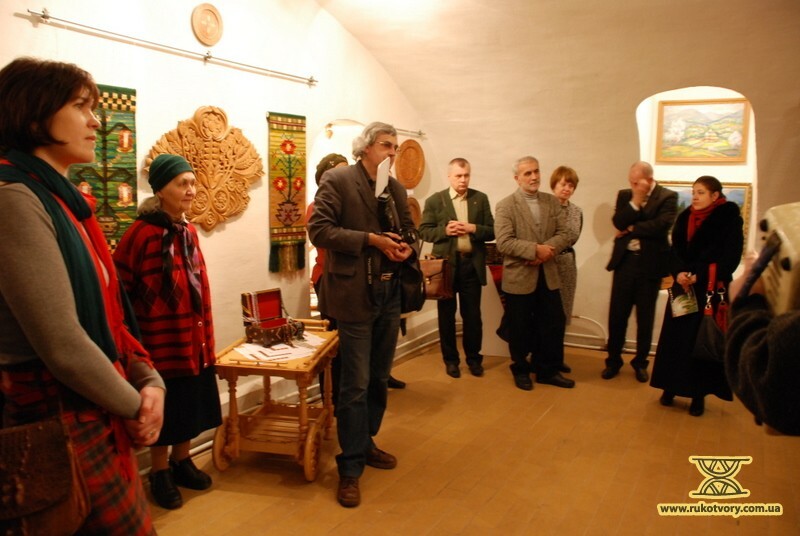 Architecture and folk crafts, songs and dances, rituals and folklore – all of it is a priceless treasure, a huge cultural heritage of our people”- said Doctor of Fine Arts Olexander Fedoruk at the opening of the exhibition. 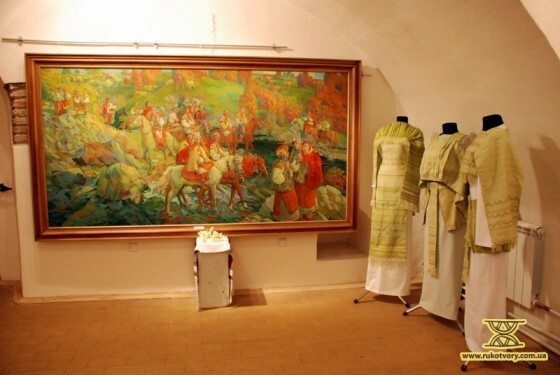 The exhibition of Art of Gutsulschina at the Hetman Museum will be opened until February, 27.